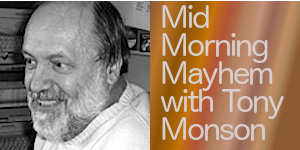 Tony Monson presents Mid Morning Mayhem! Blending Current & Classic Soul. © 2019 Solar Radio. All Rights Reserved.